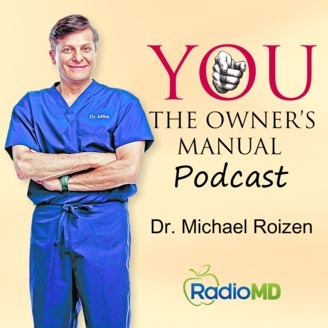 Dr. Michael Roizen is the Chief Wellness Officer at the prestigious Cleveland Clinic and is host of YOU The Owner’s Manual Podcast. Dr. Roizen co-founded RealAge, a service providing personal health tools to consumers and is author of the award-winning series of “RealAge” books. 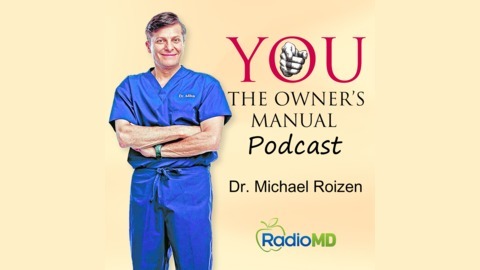 Dr. Roizen also co-authored, with Dr. Mehmet Oz, YOU: The Owner’s Manual series of bestselling books. 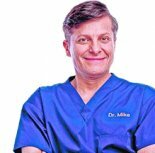 Each week Dr. Roizen brings you medical news of the week, everyday health tips and informative interviews with the nation’s leading health practitioners. Every week, Dr. Roizen discusses the latest health headlines YOU need to know.In this episode, Dr. Roizen talks about the latest health headlines that YOU need to know. Extra pounds in childhood may mean higher MS risk in adulthood. One in five U.S. adults ask doctors for lower cost medications. FDA approves drug for treating postpartum depression, but it must be injected and it is expensive. Seniors need to drink more water. Two sugary drinks a day increases your risk of death by 21%. More U.S. youth are seeking help during psychiatric emergencies. New study ties eggs to heart disease.